I just finished up a fun hack combining my/Parallax's Laser Range Finder (#28044) module with an old school Game Boy Printer (GBP) to create a portable, picture-taking contraption. The project was inspired by furrtek's work on reverse engineering the Game Boy Printer interface and GBLink/PC interface. 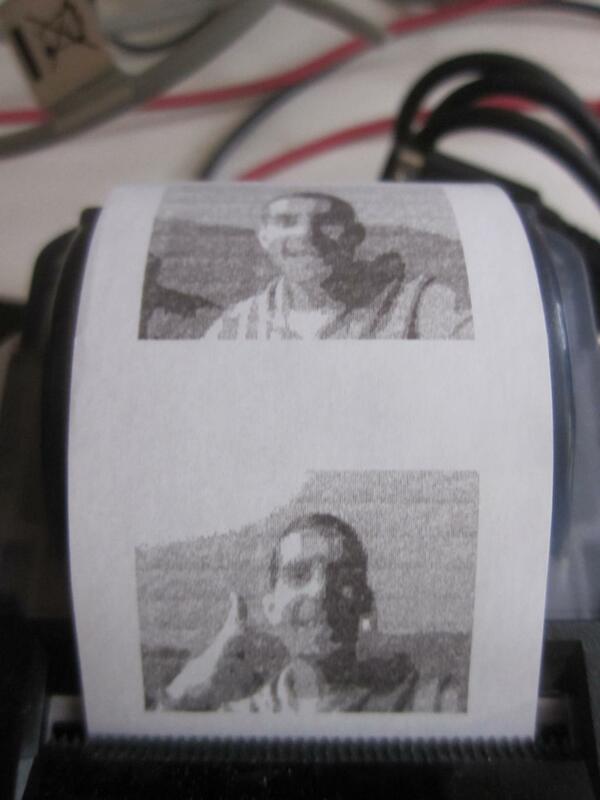 The LRF module has a command to capture and dump a 160x128 greyscale image (@ 8bpp) using its on-board OVM7690 640x480 CMOS camera. Coincidentally, the GBP also has a horizontal resolution of 160 pixels (though @ 2bpp). It just seemed like a natural fit The GBPs are readily available for ~$5-$10 on eBay and retro gaming stores, though the thermal paper usually needs replacing (I picked up extra paper from here). 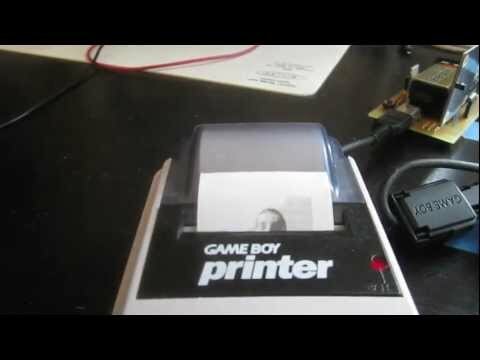 The project uses the Game Boy Printer Propeller object (my first posted to the OBEX!) and a modified version of the original LRF firmware (only the required camera interface, frame grab, and serial communication functionality is retained from the original code) When the pushbutton switch is pressed, the LRF will grab a single frame. 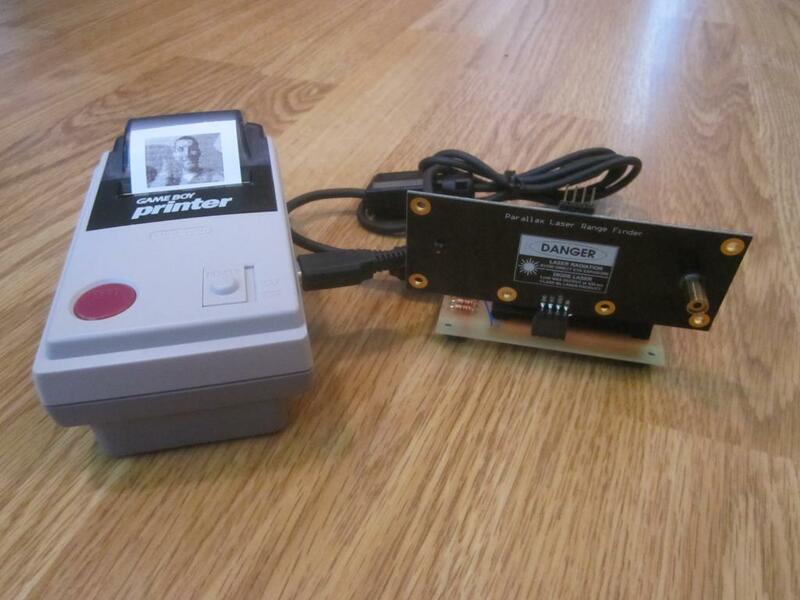 The contents of the frame will be processed and transmitted to the Game Boy Printer via SPI. The printer will then print the image. All engineering documentation (schematic, source code, PCB layout, etc.) is available on my site. The hardware interface is very easy, essentially comprising some series resistors between the LRF and GBP for protection. And, last but not least, some videos! Pretty cool Joe! You keep this up, I'm going have to add a Laser Range finder to my collection! Very cool indeed! I love projects that re-purpose retro gaming accessories. I might have to take some pictures myself and include them in my holiday cards. I, ummm... err heck... words.... fail.... OMB (Ohh My Bieber) that is so totally awesome! Way cool! What I'm wondering if I can get a depth map similar to that produced by the Kinect SDK? This really opend up my eyes to what the laser range finder may be capable of. Need more time in the day. It may be possible to do with the Parallax LRF module, but the current sampling rate is very slow (~1Hz). Mapping any significant area would take a long time. I have some ideas for optimizing/increasing the sample rate, but it won't reach the Kinect capabilities. I was quite excited when I saw this product go up on the Parallax website, until I was disappointed by the specs... In short, what advantages does this camera have over the Ping((( Ultrasonic sensor, as I see it, it has shorter range, slowing sampling rate, and a greater error percentage (I think) apart from having the camera onboard that I could access. The key advantage over ultrasonic is that a laser has less reflection/bounce against an object and can be used more reliably through transparent materials (e.g., water, clear acrylic). Ultrasonic sensors (like the PING) tend to bounce crazily off of certain types of objects, which cause reliability issues and a much higher error percentage (or a completely incorrect reading) than the LRF. Every project has different constraints and there may be situations where a particular type of sensor is better over another. Without knowing specifics of what you were thinking of using the LRF for, I can't really give you more detail. 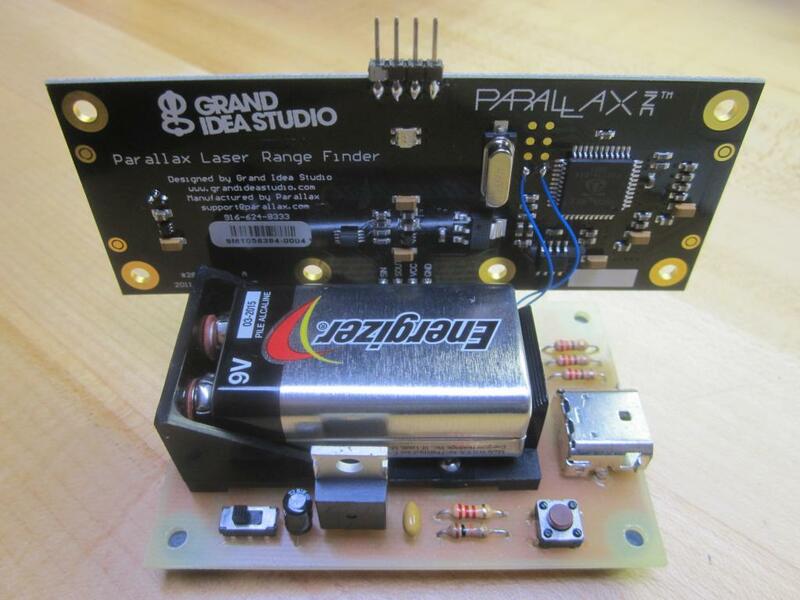 If you contact Parallax Technical Support (support@parallax.com), I'm sure they'll be able to help you choose the best sensor for your application.